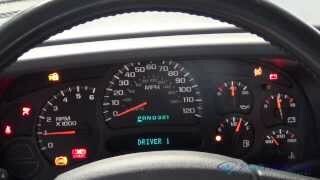 On a full tank of gas the gauge reads full, I have a digital fuel gauge, here is my question. When I have driven about sixty miles the gauge goes down one line (16 lines total) so I go fill the tank with gas, but the gauge doesn't read full, it only reads full when it goes down two lines. Idon't know why. Honestly, that is most likely because of the small amount of change in the tank. The float and rheostat may not be sensitive enough to pick up on that amount. In a perfect world, it should. The only thing I could suggest is to remove the fuel pump and replace the float and rheostat in the tank. Since the vehicle is still under warranty, I would take it to a dealer and discuss it.